Imagine finding yourself hundreds of meters below the surface, in a massive man-made cavern, surrounded by rock-salt-cut sculptures. The music of Frédéric Chopin is blasting from hidden speakers, causing the chandelier above to begin shaking. Suddenly, the lights cut out and you’re thrown into full darkness. Then, just as quickly, they are back on and your tour guide is smiling at your awe-struck expression. This is what it’s like to visit the Wieliczka Salt Mine, an 800-year-old underground complex located just outside of Kraków, Poland. As a unique historical monument, an impressive engineering feat, and a natural wonder, the Mine is almost certainly unlike anything you’ve seen before—and well worth a visit if you’re in the area. What is the Wieliczka Salt Mine? The Wieliczka Salt Mine (vyeh-leech-kah) is a 13th century salt mine located in Wieliczka, Poland—a town on the outskirts of Kraków. Over hundreds of years local miners dug over 300km of tunnels over nine levels, with the lowest being 327 meters underground. It is also a Unesco World Heritage site. A portion of the mine is open to the public via guided tours. Included in this tour are stops at multiple chapels filled with altarpieces, impressive salt-carved statues, a ball room, and even an underground lake. However, the undisputed highlight is the highly-decorative Chapel of Saint Kinga (Kaplica Św Kingi), which at 54 m x by 18 m x by 12 m is essentially a full-size church. Legend has it that the Salt Mine was discovered when Saint Kinga—a medieval Hungarian Princess set to marry the Prince of Kraków and eager to bring the wealth of salt to her new kingdom—threw her engagement ring into a Hungarian salt mine, only to reappear at the site of the current mine. Unfortunately, the true story is less fantastic. In the 13th century rock salt—at that time an incredibly valuable material used in cooking, medicine, and to preserve food—was discovered by accident by farmers in the Wieliczka area. Soon, a series of shafts were dug. Prior to this, almost all of the rock salt in Poland had to be important via expensive and dangerous trade routes from the far east. Now, the newly unified Kingdom of Poland could offer a less-expensive alternative for European buyers while enriching itself in the process. For the next 800 years, the Wieliczka Salt Mine was continually in use, producing an increasingly-complex labyrinth of tunnels and chambers. Fully-decorated chapels were dug from the salt rock and famous Poles like the astronomer Nicolaus Copernicus visited the mine. During World War II, the Salt Mine was used by the occupying Germans to store weapons, and more recently local miners were commissioned to create a series of sculptures of religious and historic figures as well as the aforementioned Chapel of Saint Kinga. 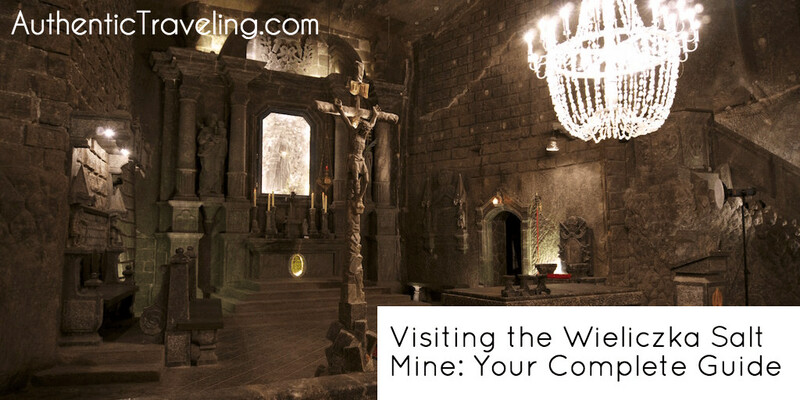 How should you get to the Wieliczka Salt Mine? Being just 14 km south east of downtown Kraków, the Wieliczka Salt Mine is conveniently located and reachable via a number of transportation options—the fastest of which is by private car. Avoid parking at one of the unofficial (and overpriced) parking lots that you pass before arriving at the mine, one of which falsely claims to be ‘the closest to the mine entrance’. Instead, opt to park at the official lot right in front of the mine entrance. As of May 2017, the flat daily fee was 15 zloty [$4]. If you prefer to use public transportation, you can take the train from the main railway station in Kraków (Dworzec Glówny) to the Wieliczka Trynek Kopalnia train station. It’s a 20 minute ride and costs 5 zloty each way [c. $1]. From there it’s a short 7 minute walk to the mine. Alternatively, you can take bus number 304 from the Galeria Krakowska shopping mall, getting off at the stop called Wieliczka Kopalnia Soli (4 zloty [c. $1], each way). 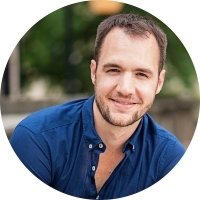 I would avoid joining any of the group tours from Kraków—as is often the case, you’ll end up overpaying for something that you can arrange yourself with just a little bit of planning. What should you do at the Wieliczka Salt Mine? Admission to the Wieliczka Salt Mine is via ticketed group tours only, which depart regularly throughout the day in a variety of languages (English-language tours are held every 30 minutes). 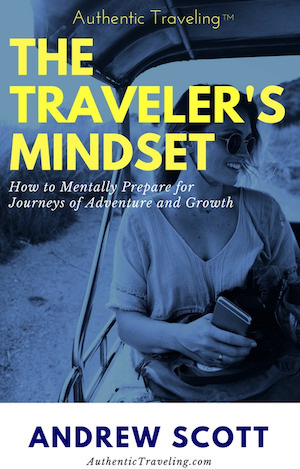 These tours range dramatically in subject matter and physical requirements, so choose carefully. If you just wish to see the Mine’s highlights and don’t want to exert yourself, I suggest buying a ticket for the classic Tourist Route. Tickets for this tour are 84 zloty per person [c. $22] and 232 zloty [$60] per family most of the year, with an increase to 89 [$23] and 247 zloty [$64], respectively, during the Polish holiday season of April 29-May 3, and July 1-August 31. While you can buy tickets online for dates 3+ days in advance, there is no need for an early reservation, as you can buy a ticket for the next scheduled tour when you arrive. Including a stop in the gift shop, and the wait for the elevator to take you up to the surface (thankfully you don’t have to walk back up the 800 steps you took on the way down), you should budget about 3 hours for this tour. Restroom breaks are provided in the middle and at the end of the tour. 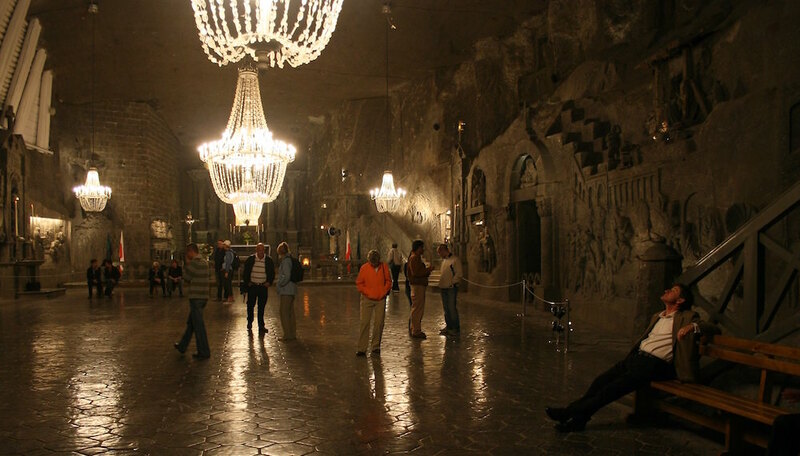 Other options include the interactive Miners’ Route, where you get to try your hand at being a salt miner; the Mysteries of the Wieliczka tour, where you explore the most dangerous parts of the Mine; the Pilgrims’ Route, which focuses on the religious portions of the Mine; and a tour of the nearby Gradation Tower. Due to their specialist nature, these tours are slight more expensive and longer in duration than the standard Tourist Route. Regardless of which tour you take, be sure to wear comfortable clothes. The temperature inside the mine is 14° C [57° F] year round, so dress accordingly. Large bags must are not allowed in the mine, so leave them in your car or at the cloakroom, which is located to the left of the main entrance. Photography is allowed within the mine with the purchase of a 10 zloty [c. $3] pass. When is the Wieliczka Salt Mine open? The mine is open daily from 7:30 AM to 7:30 PM during the regular season (April 1 to October 31), and 8:00 AM to 5:00 PM in the offseason (November 2 to March 31). Exceptions include January 1 (closed) , Easter Sunday (closed), Holy Saturday (closes at 3:30 PM), November 1 (closed), Christmas Eve (closed), Christmas Day (closed), and New Year’s Eve (closes at 4:00 PM). What else can you do at the Wieliczka Salt Mine? There’s also a Wieliczka Salt Mine Health Resort—which combines the therapeutic power of the salt microclimate with traditional medicine—and the four-star Grand Sal Hotel. Neither are cheap, however, as stays are a minimum of 7 days. Is there anything else you need to know before visiting the Wieliczka Salt Mine? Although the majority of your time in the Wieliczka Salt Mine will be spent in rather open spaces, there are a number of moments—namely in the initial descending staircase and the return elevator—that are quite cramped and largely devoid of personal space. Plan accordingly if you think this will be an issue for you. 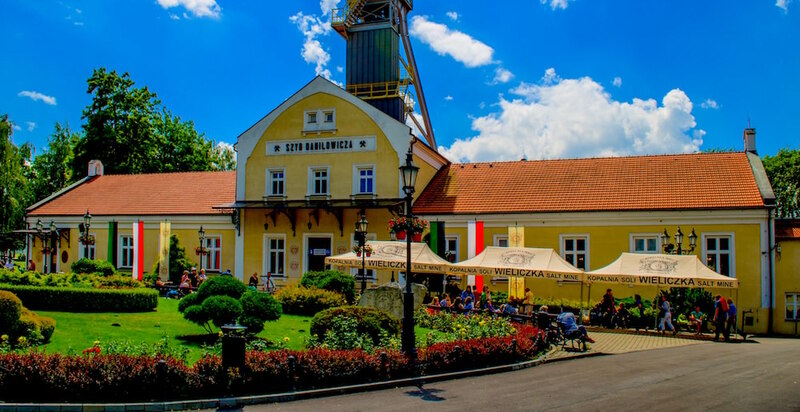 If you get hungry during your visit, there is a reasonably-priced restaurant within the mine, serving traditional Polish food alongside more popular European dishes. There is also an inexpensive grill serving fast food fare outside the main entrance. The prices of the salt-related items for sale in the gift shop seemed to be about on par with those I found downtown Kraków, so feel free to buy without worrying about overspending. I got my mom some cranberry-infused bath salts and I’m sure she’ll enjoy them. The Wieliczka Salt Mine is a unique and exhilarating stop for anyone visiting southern Poland. It serves as a monument to medieval and early-modern engineering, as well as a testament to the unwavering hard work of the local miners. Regardless of whether or not you’re a fan of caves, mines, or history, I strongly recommend you check it out next time you are in Kraków.